Echols Home Inspections uses HomeGauge Reporting Software which allows us to deliver the highest quality report about your property directly to your computer with detailed digital photography. 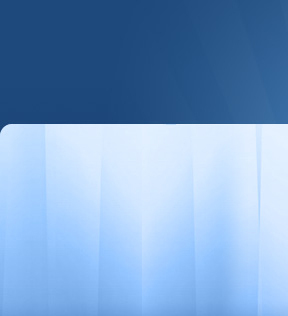 The HomeGauge reporting system is the most advanced reporting technology available today. Please Click Here for a sample of the type of report you will receive at the end of your Jackson area home inspection. Your report will be uploaded to a password-protected website and you will receive an email notification from HomeGauge with your username and password to be able to access the report. The advantage of your report being on a secure website is that you do not have to worry about file size limitations or long download times usually associated with attempting to email such a large document. With HomeGauge, there is no safer, faster or more guaranteed method of report delivery available. This method of report delivery is exceptional for individuals who are relocating from out of town or are not able to be present for the inspection. This type of delivery for your Jackson Home Inspection also makes it possible for several individuals to view and discuss the findings while on conference call and everyone can view the same items on the report at the same time. With all Echols Home Inspection reports, photos are inserted directly into the inspection report. Whenever an item that needs attention or a defect is found at the property, a picture of that item is taken to illustrate what the text is referring to and exactly where the issue is located on the home. There will also be pictures taken and inserted into the report of the exterior views of the house, interior areas and rooms and special interest areas. This is extremely helpful for buyers that are moving from out of town and have been overwhelmed by the number of homes that they viewed prior to settling on this particular house. 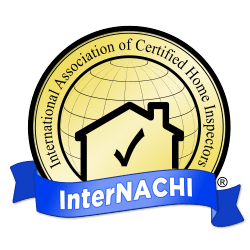 Echols Home Inspections reports are designed to be informative and precise for you to be able to make a better decision on your purchase. The reports are approximately 25-30 pages long and are specifically tailored for your new home. A full Madison, Brandon or Jackson Home Inspection generally takes about 2.5 - 3.5 hours to complete and the report will be delivered to the secure website within 24 hours of the Jackson Home Inspection (generally the same day). The report will condense all of the information about the property taken during the inspection into a concise, easy to read and understand document that will show you the condition of the home you are about to purchase...and plenty of maintenance tips also. Buyers can use the report to help determine if they can afford the maintenance on the property (Typically older homes in the Jackson or Madison areas need repairs more often as time goes by), or they can use it as a honey-do-list. Buyers can use the report to negotiate with the seller on repairs that are needed and/or to adjust the selling price in lieu of the seller making the repairs. Buyers can use the report to rescind or withdraw from the contract on the Jackson area home. Sellers can use the report to help with disclosing any defects on the Disclosure Statement. Sellers can use the report to help identify and make any needed corrections or repairs before listing the home/property on the market. Buyers and Sellers can use the report for assistance on obtaining quotes or estimates for needed repair work.